Bart: Don’t we get to roast marshmallows? Dolph: Shuddup and eat your pine cone. It’s surprisingly realistic — when I reached into it in front of dinner guests, one gasped “AAAAAGH!” in anticipation of my being burned. It’s a very effective little space heater, which allows us to keep the central heat down a little bit while we keep the main room warm. After we installed the fireplace, I wanted to add even more fake elements to make it more realistic. Primarily, I wanted it to sound like a fire. This idea was not unique — several companies make sound components for electric and gas fireplaces. Kracklebox (self-contained unit with sounds and speakers; Dimplex includes the unit with some of their fires). FireSong Fireplace Sound System (expensive, but designed to work in “cool” area of gas fireplace). Fire Crackler Sound System (comparatively affordable, and I might have bought it if I’d found it before making my own). These options range from $39 (on sale from $59) to $199, but you can do much the same thing for less than $20. 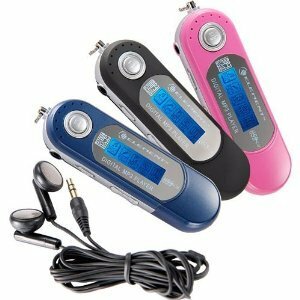 A cheaper option is to buy an MP3 player without memory (this one is under $3), then use an SD card. Second, buy some small portable speakers that run on batteries. We have a foldable set like these, purchased for about $5. There are many small portable speaker options for not a lot of money, or again, you might just have some in storage. You probably see where this is going — third, go download yourself some fire sounds! Here’s a list of downloadable fireplace MP3s for less than a dollar apiece. I picked out one that was an hour long, and then I saved it to the MP3 four times with different titles (you could also hit “repeat” on the player, but it’s easier to just hit “play”). When browsing fire sounds, be aware that some of them have piano music or thunderstorms or “nature sounds” in the background. That’s fine if you want that, but I only wanted fire noises. Audiophiles note that some of the sound files loop in a noticeable way. If you are sensitive to that, you may want to look for a continuous recording (or make your own). It doesn’t bother us because it’s just background noise. Plug the loaded player into the speakers, and voila: $16 fireplace sound system! Good for fireplace-adjacent snuggling when it’s cold outside. If you have an electric fireplace, you’re done. 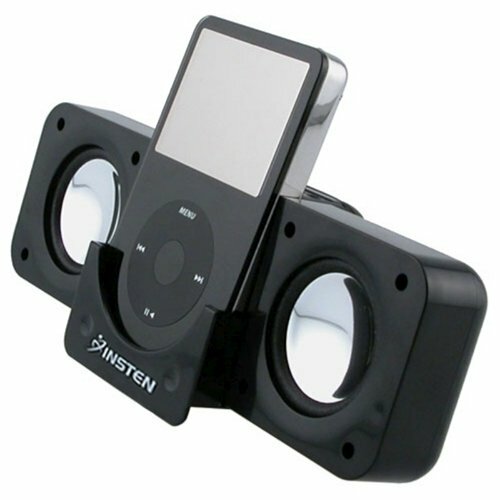 I just put the player/speakers inside the surround. IF YOU HAVE A GAS FIREPLACE, it’s too hot in there for MP3 components. In that case, drop the whole kit and kaboodle into a decorative basket and set it on the mantel. That’s an extra $3 or so at Goodwill, so you could still come in under $20. These are a little tricky to light, but they do last a long time and add considerable atmosphere! 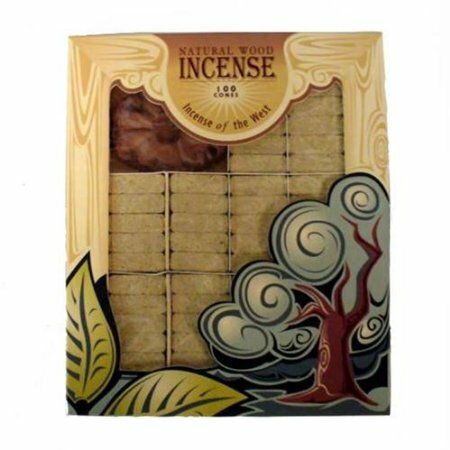 There are also “woodsmoke” candles and other options to customize your fake fire experience. Once you have the player and speakers, this takes less time to do than it does to explain. Hope this tutorial helps you add a little extra synthetic charm to your artificial hearth, leading to genuine good times! 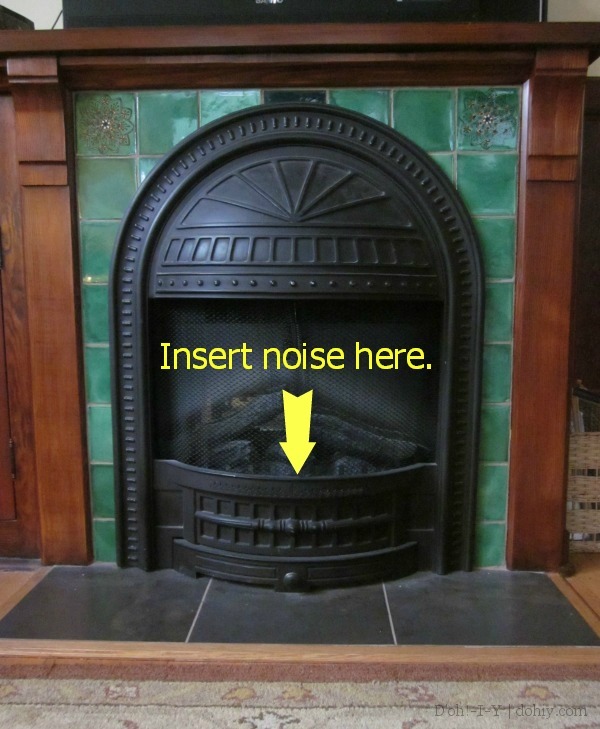 This entry was posted in Electrical, Energy, Romance and tagged dimplex fireplace sound system, electric fireplace, fake fireplace, fireplace noise, fireplace sounds, gas fireplace, how to add crackling noise to fake fireplace, kracklebox. Bookmark the permalink. Who cares about reproductions if you like what you have! I have to admit that I find the idea of having a fire that you can turn on and off with a switch is very appealing. As much as we love our fireplaces, they can sometimes be a complete pain! Bizarrely we actually found a reproduction of our fireplace in our bedroom. It was so weird to see it in a shop! I’ve seen that repro! I was browsing online the other day and was all, “THAT’S CHRISTINE’S FIREPLACE!” That must be a little freaky to find when shopping. It is nice to switch the fire on and off, but a real fire? Nothing like it! Wish our house had come with a real fire. I bought a fake fireplace and of course wanted the sounds. I simply took an old smartphone with wifi, and play youtube vids of fireplaces some are over 5 hours long! That is a great idea! Takes the file saving issue out of the equation.